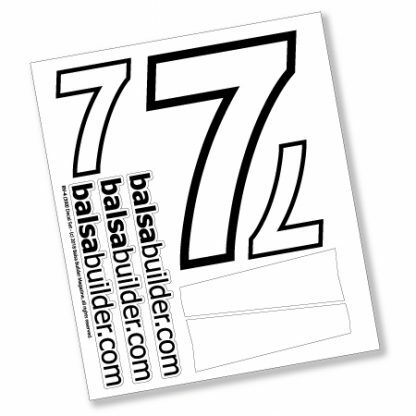 The “Lucky 7” RV-4 Vinyl Decal set is printed on premium white vinyl and then cnc-cut. Features two landing gear fairing covers, a set of number “7” markings for wing and vertical fin, along with three balsabuilder.com logos to round out the cowl cheeks and elevator. Add a touch of flair to your RV-4 350 and display your balsabuilder pride! Color Black | Premium Vinyl | Dimensions 7 1/2 in. x 6 1/2 in.